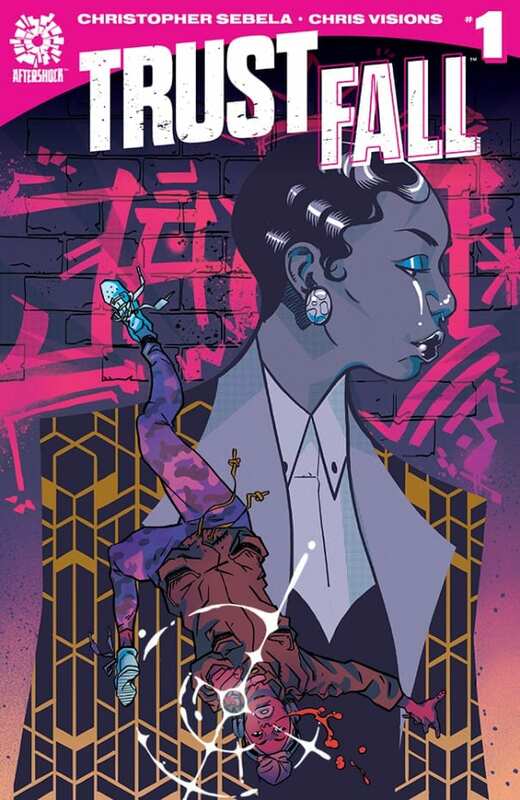 Coming this summer, from creators Christopher Sebela and Chris Visions, comes the new series, Trust Fall, at AfterShock, the publisher that encourages its fans to read dangerously. The story follows a dysfunctional family of thieves with superpowers, led by Ash Parsons, who can teleport objects, but not herself. She lives isolated and has never actually been a real part of the world as she relies on her family to catch her after each and every heist. The crime family depends heavily on Ash as she can steal things they otherwise wouldn’t be able to move. Growing weary of being used, once she starts to push back, the scenario won’t be favorable for all involved. Keep an eye out for Trust Fall, which drops on June 12 and click HERE for the Deadline presser, which announced the upcoming series, which includes some interiors as well. What do you think, are you ready to dive into this heist tale? If you had superpowers, what kind of things would you get into? Let us know in the comments section below.